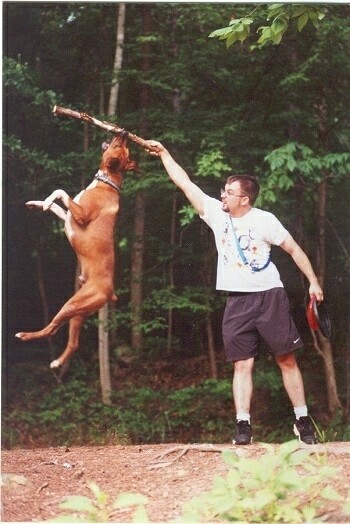 Sarge the Boxer / Doberman mix (Boxerman) jumping for one of his many prized sticks. This is Abby, a 2-year-old Dalmatian. She loves to play ball and loves to give kisses to everybody. 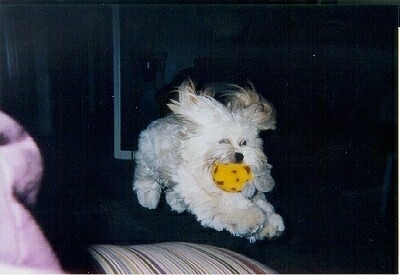 The TV-watching Lhasa Apso, Quigley jumping with his toy in his mouth. 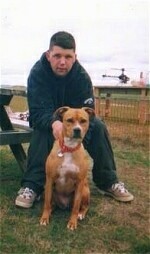 This is 1 ½-year-old Pit Bull Cyrus, doing what his owner calls a double jump. 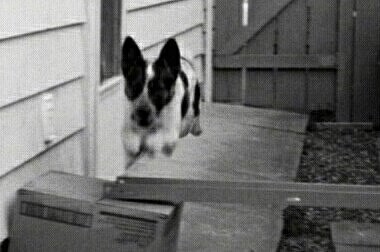 She will jump into the air and then kick off of her owner to get the extra height she needs. 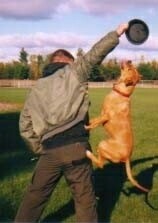 She can effortlessly grab the toy out of a hand at a height of over six and a half feet. 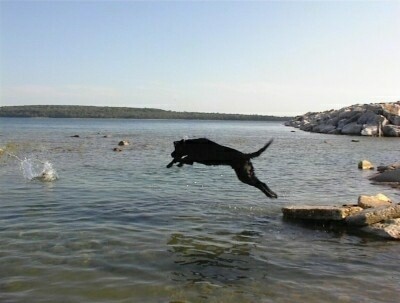 Hunter the Black Lab jumping into the water after his toy. 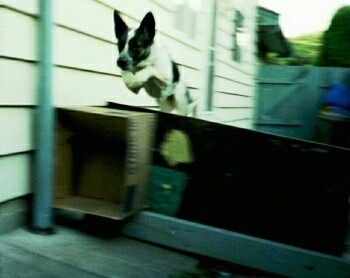 Sydney the 1-year-old Australian Blue Heeler loves to jump high, big things!